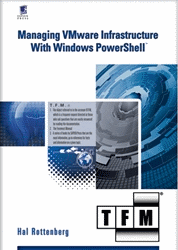 This entry was posted in vCenter and tagged PowerCLI, VMware, VMworld on October 22, 2013 by Alan Renouf. Following the amazing sessions at VMworld San Francisco and knowing that PowerCLI took the top spot from the VMworld sessions I wanted to again give you the information you need for VMworld Barcelona so you don’t miss out on the awesome PowerCLI content available. The Session Builder is live on the VMworld siteand I thought it might be valuable to the PowerCLI fans out there to know which sessions and interesting PowerCLI related topics are out there and what is available to attend. Whilst PowerCLI is mentioned in many sessions these are the hard hitting PowerCLI sessions which you will want to attend to get the latest and greatest information. I also know that a lot of the sessions have been changed and enhanced to include different content from the VMworld San Francisco sessions. You may have also noticed that not much of the information from VMworld around PowerCLI has been blogged yet, after VMworld Barcelona you will start to see more of this information and some great videos and examples. This entry was posted in VMworld and tagged VMworld on October 6, 2013 by Alan Renouf.